Does God speak to you? One of the greatest joys of the Christian life is hearing the voice of God. He may be telling me what to do, which way to go. He may be revealing new insights about Himself or others. Sometimes I just hear a quiet “I love you,” and those are the words I cherish the most. One challenge in listening to God is that He so rarely speaks audibly. Rather, it’s that “still, small voice” inside of us, whispering to our spirit. We have to still ourselves to hear Him. And while God is perfect at making Himself known, we don’t always hear perfectly what He has to say. Sometimes, we simply get it all wrong. Twenty-twenty hindsight is a wonderful thing. As I read once again through the books of Isaiah and Jeremiah, God’s warning seems oh, so clear. Both of these prophets warned the people over and over to stop their idolatry, turn to God, embrace justice and righteousness, and live. And over and over the people ignored them. It’s easy for me, sitting here in 2015, to think, what idiots. God told them what He was going to do! Why didn’t they obey Him? Wasn’t it obvious that an idol they themselves made of wood couldn’t solve their problems? And who would choose to sacrifice their child, when God never asked them to do so? In January of 2013 I did some rummaging around on the internet and came up with a series of “psychic predictions” for the new year. These are people who make their living from predicting the future—in the old days they’d be called seers or prophets. I’ve always wondered how these people maintained their aura of authenticity when their prophecies never panned out so, out of curiosity, I saved their predictions. In the past, when I went to look for previous years’ prophesies, they had somehow been deleted (I wonder why). So this time, I made sure I’d have access to them a year later. But then I forgot all about it. Is America Headed for Judgment? Have you read The Harbinger yet? I just finished this book, and I’m reeling. 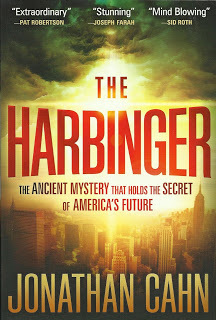 Since its publication in January, 2012, friend after friend has been urging me to read The Harbinger, and it’s still setting records on numerous best-seller lists. I finally got my hands on a copy (there was a substantial waiting list at the library)—and read it in one sitting. Yes, it’s one of those books you cannot put down. Although related as a fictional story, that’s really just window dressing. Author Jonathan Cahn takes a passage from Isaiah—focusing on Isaiah 9:10—and interprets it in light of the events of the past ten years. He relates Isaiah’s warning to Israel to America: the 9/11 attacks in New York and Washington, statements made by prominent politicians (including President Obama), and the subsequent economic meltdown. The details are astonishing. 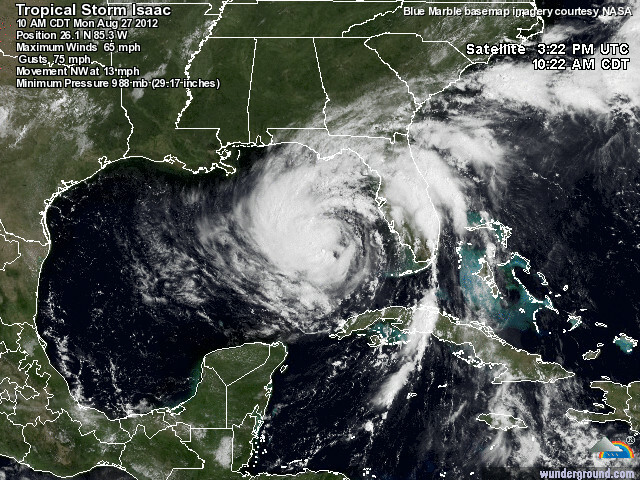 Will Isaac be another Katrina? As the storm approaches the Gulf Coast, memories of the devastation of exactly seven years ago resurface in everyone’s mind. Isaac is in the headlines at the moment, but this has been a summer of disasters. When I last checked, 70 wildfires were burning west of the Mississippi. Seventy! With the Waldo Canyon fire just a few miles from our house, I’m well aware of how destructive a wildfire can be. I’m looking out my window at a pure blue sky, the sun is shining, and it’s already 30°. At least today’s forecast is more accurate (they did say 50%, not 100%) than one last summer that confidently proclaimed sunny skies and high temperatures, while outside a chill wind drove the pouring rain horizontally. 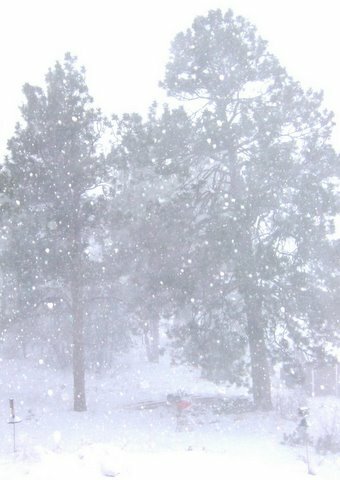 You’d think the weather folks would look out their window before hitting that “publish” button! Meteorologists are easy to pick on, but lots of people predict all sorts of things—cataclysms, wars, epidemics, economic disaster or economic recovery—usually with a tremendous amount of self-assurance. In fact we’re so sure we’re right, we invite the media to the show.